This morning's release of the November New Home Sales from the Census Bureau came in at 657K, up 16.9% month-over-month from a revised 562K in October. 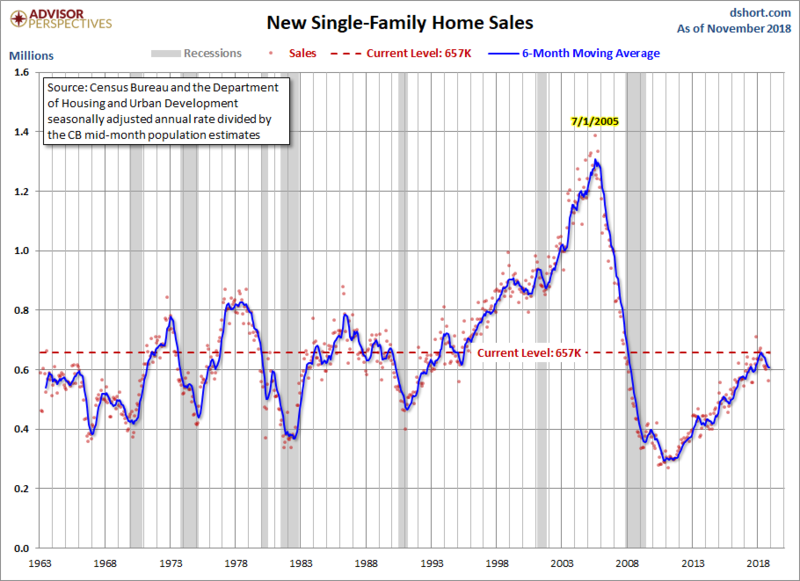 New single-family home sales are 11.2% above the 1963 start of this data series. 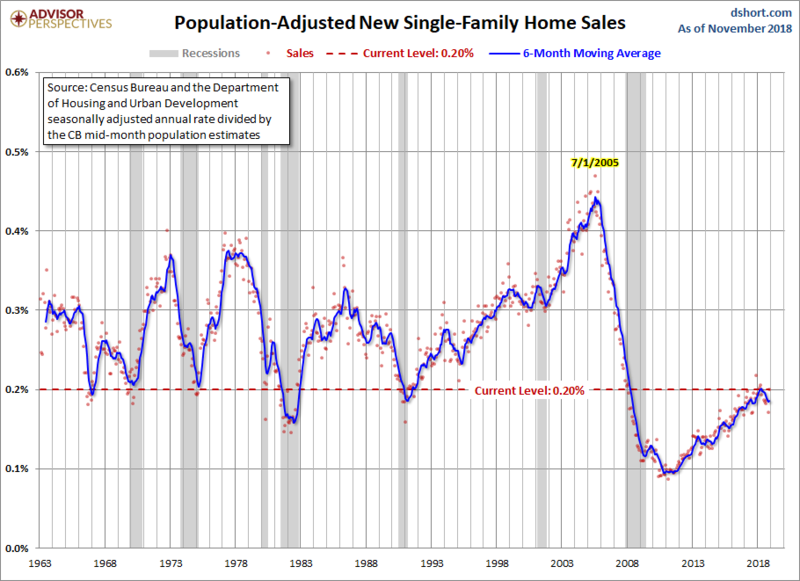 The population-adjusted version is 36.5% below the first 1963 sales and at a level similar to the lows we saw during the double-dip recession in the early 1980s, a time when 30-year mortgage rates peaked at 18.63%. Today's 30-year rate is about 4.4%. For another perspective, here is a chart of the median new home sale prices back to 1963, inflation adjusted. The data source is also the Census Bureau and can be found on the press release and website above. For inflation adjustment, we use the CPI-U, which is the Consumer Price Index for All Urban Consumers. We've included a 6-month moving average for this extremely volatile metric to give us a clearer sense of the trend.